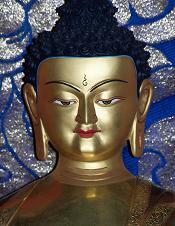 THE DHARMAPADA IS A SELECTION OF THE WORDS OF THE BUDDHA CAPTURED IN A SPECIAL COLLECTION. BECAUSE OF ITS UNIVERSAL APPEAL AND TIMELESS WISDOM MANY REGARD IT AS THE BUDDHIST BIBLE. 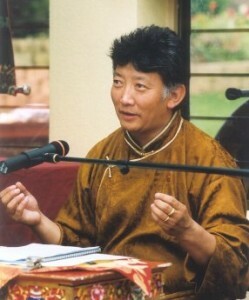 LAMA CHOEDAK RINPOCHE WILL READ AND TRANSLATE DIRECTLY FROM THE TIBETAN AND EXPLAIN THE MOST PROFOUND WORDS OF THE BUDDHA PRESERVED IN THE TIBETAN VERSION OF IT KNOWN AS THE UDANAVARGA. THE BUDDHIST WORLD SHARE “THE WORDS OF THE BUDDHA” AS HIS OWN TEACHINGS, BUT THEY OFTEN QUOTE CERTAIN PHRASES FROM DISCOURSES IN THE WRITINGS OF EARLY BUDDHIST MASTERS SUCH AS NAGARJUNA FROM THE 2ND CENTURY AD. IT WILL BE A GREAT WAY TO SPEND A DAY LISTENING TO LOGICAL AND PRACTICAL TEACHINGS THAT DEVELOP AN EMOTIONAL LITERACY THAT CAN TRANSCEND HUMAN SUFFERING AND ENABLE US TO LIVE CONSCIOUSLY.